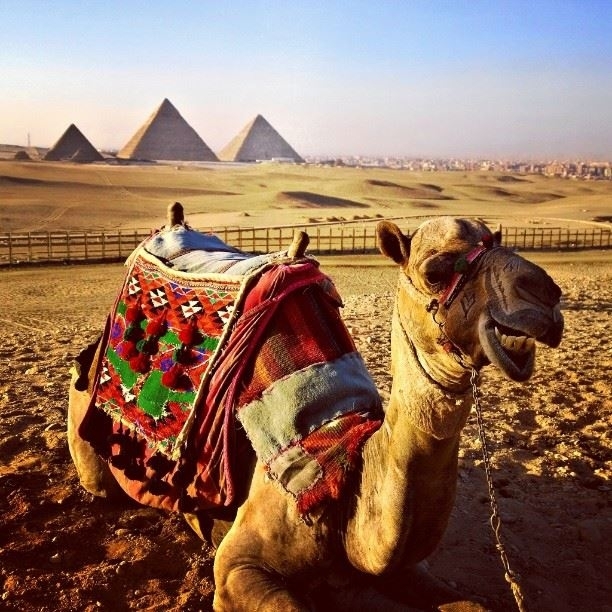 Whether you search the internet, or buy a postcard of Egypt, the Pyramids of Giza will be the first finds. 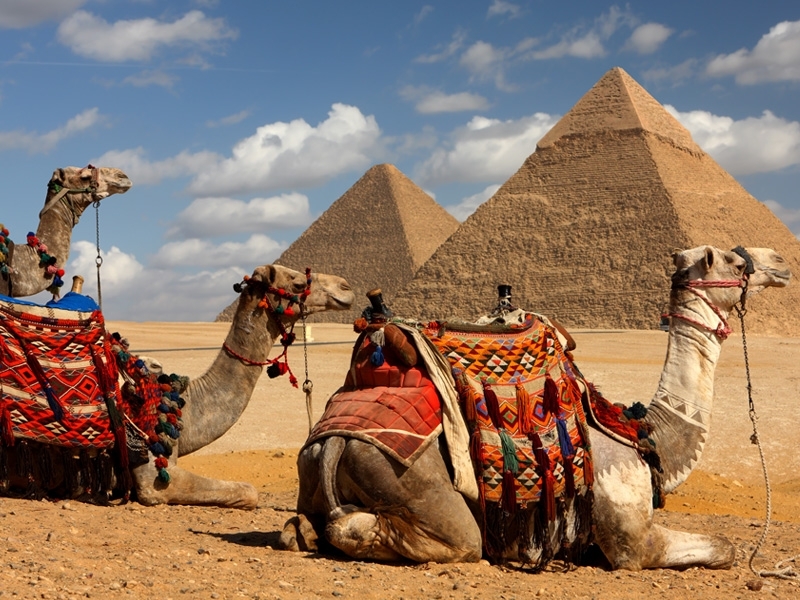 Being the largest constructions ever built, the pyramids are considered as the symbols of the ancient Egyptian civilization. 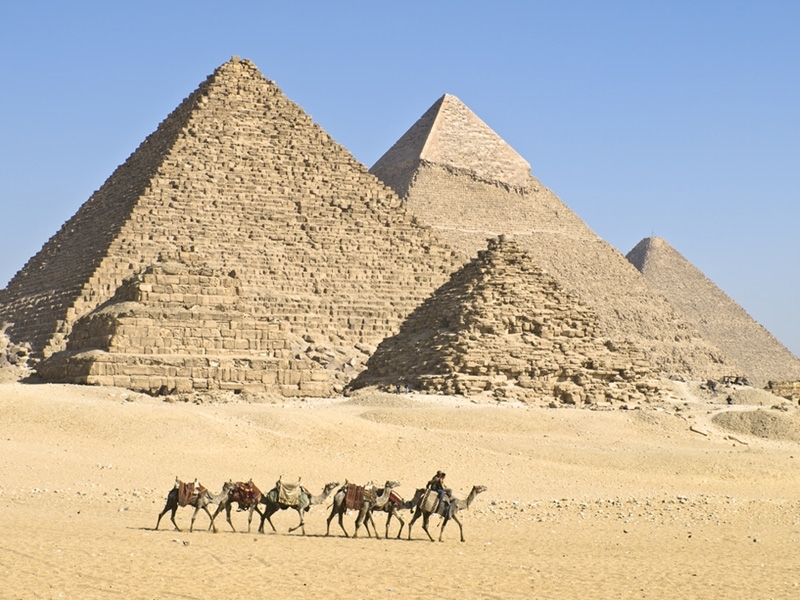 The great pyramid of Giza is the pyramid of the 4th Dynasty King Khufu in the center with the pyramids of Khefren to the right and Mankaura to the left. 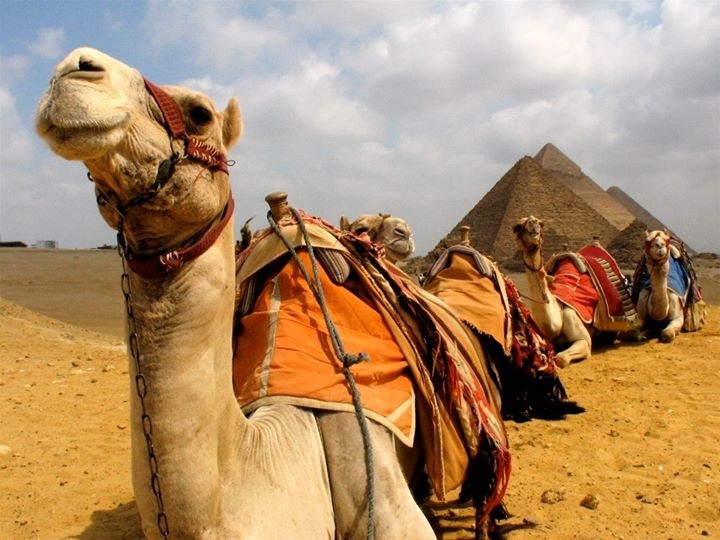 It is situated in on the west bank of the Nile with a truly overwhelming sight. This ancient pyramid has continued to exist in spite of the rise and fall of great conquerors and dynasty. 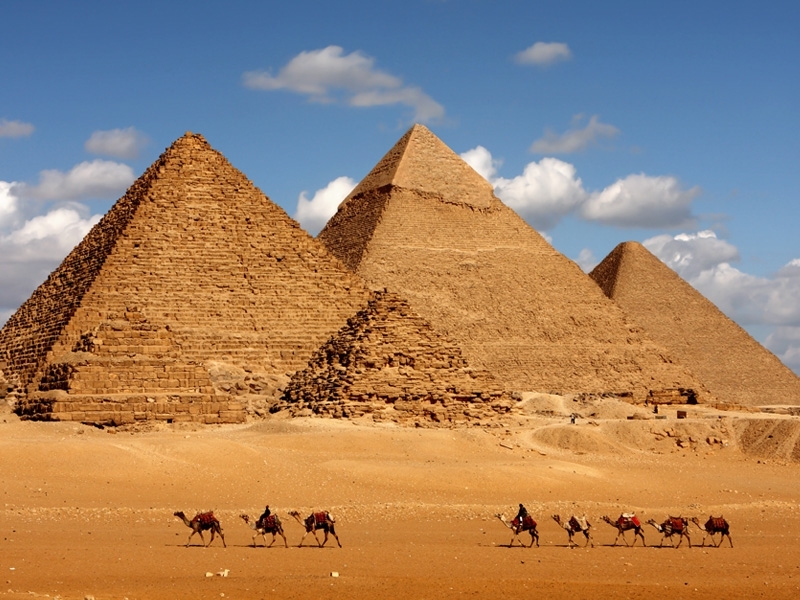 The Giza pyramid in Egypt was 145.75m when it was built and many years ago it lost 10m summit. Each side of the pyramid has been carefully organized with edge points of the Compass that is north, south, east and west. This structure consists of more than two million blocks of stone weighting more than two tons. The entrance of the pyramid is on the north face, and a number of galleries, corridors, and escape shafts lead to the King's burial chamber. This pyramid has many passages and chambers which are not found in other pyramid. 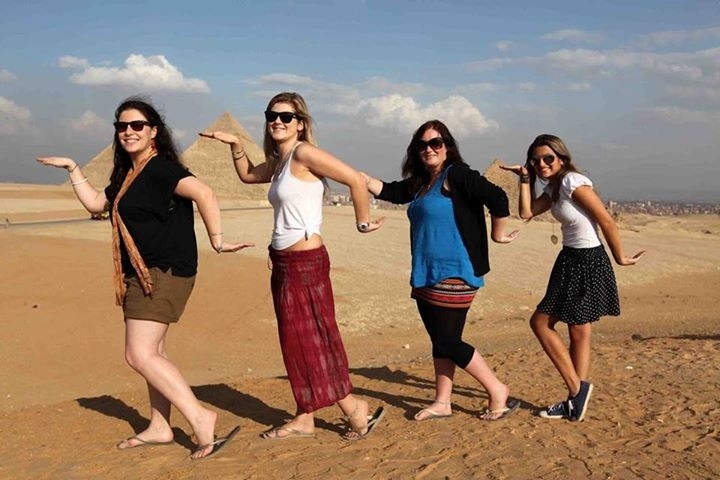 The pyramid of Khufu is famous for being the tallest and the biggest pyramid in Egypt. 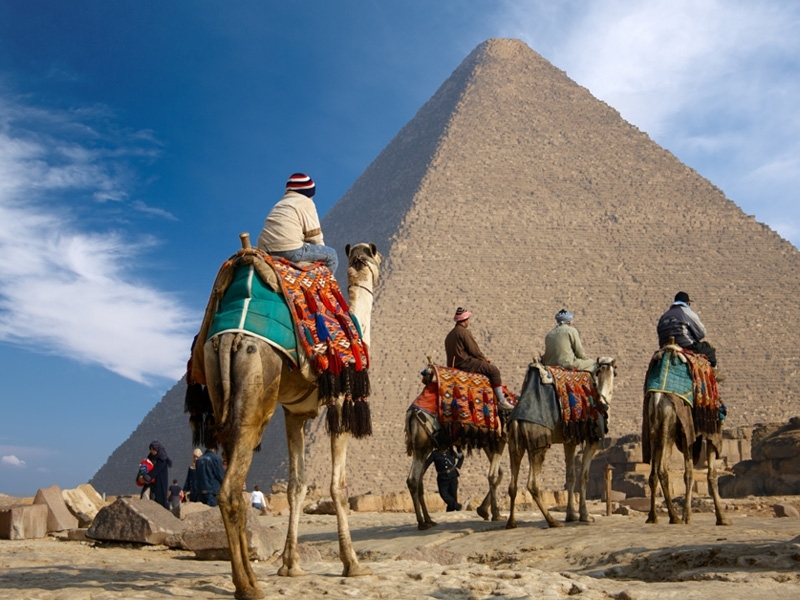 Khufu's pyramid was made up of limestone and is considered as a great architectural masterpiece. 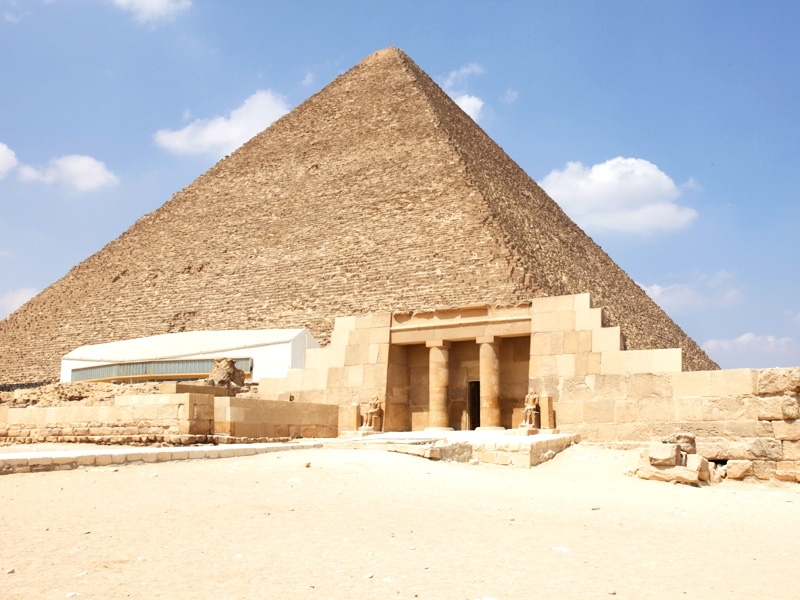 Khafre is the 2nd most popular pyramid in Egypt, it is easily recognized by the layers of its original casing stones that still remain near its summit. 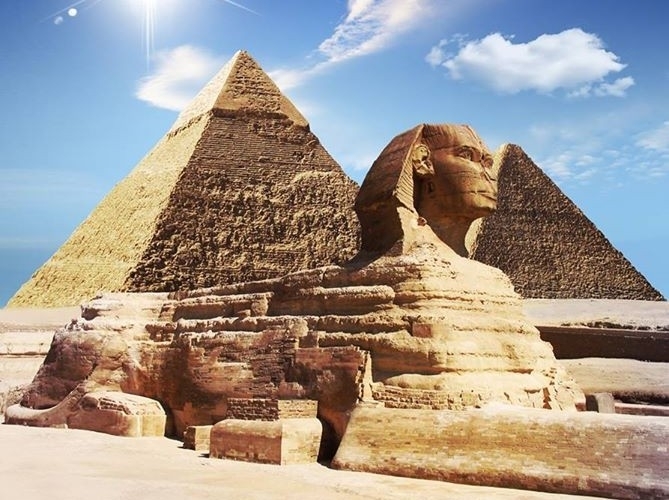 Khafre stands on the plateau behind the Sphinx, and its stones were polished once. 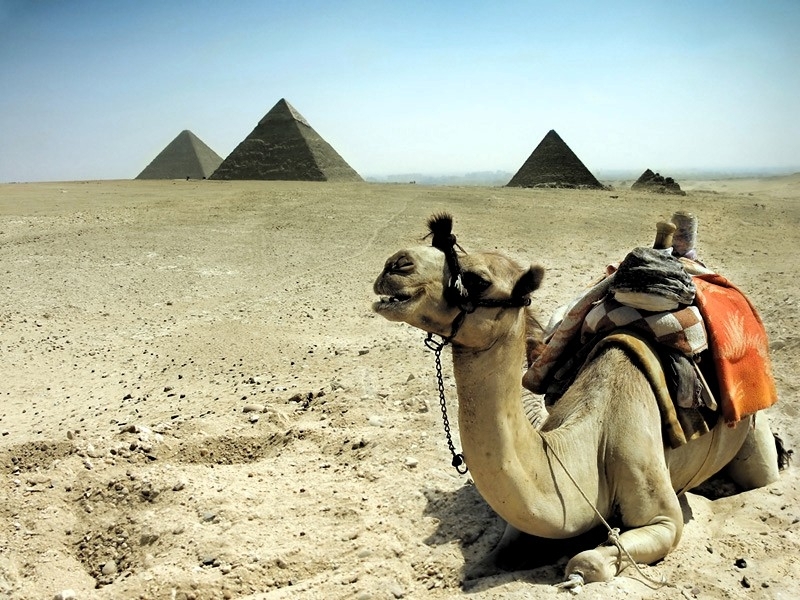 Khafre's son, Menkaure, built the amalest pyramid of the three main pyramids on the Giza plateau. It was made up of Pink limestone.